Anti Wrinkle Injections are used to soften frown lines and laughter lines. It’s short for “botulinum toxin” and is a purified form of the toxin, albeit only used in very small quantities. This is probably what scares some people, along with pictures of celebrities with frozen, unnatural expressions and the ‘wind tunnel’ look. But the truth is, it’s a safe treatment in the hands of a trained professional with evidence of clinical success. As qualified dentists, we possess an intimate understanding of the intricate balance of muscle movement in the face and use this knowledge to inject with skill and precision. We prefer to retain a small amount of movement, thereby avoiding a frozen appearance and produce natural-looking results. Dr Grant McAree has completed an Advanced Course in Botulinum Toxin injections and has carried out hundreds of treatments. Our main source of new patients is from word-of-mouth referrals which, we feel, is the best recommendation of all. It is also always lovely to hear patients tell us how many compliments they have received from friends and colleagues, without them realising they’ve had anything done. Anti Wrinkle Injection are mainly used to treat frown lines, the lines on the forehead, ‘crow’s feet’ or ‘laughter lines’ around the eyes and also to soften fine lines around the lips. We frequently use Anti Wrinkle Injections in conjunction with dermal filler, to soften frown lines or fine smoker’s lines around the mouth. Although best known for treating facial lines and wrinkles, it can also be used to reduce excessive perspiration (hyperhydrosis) of the underarms, hands and feet. 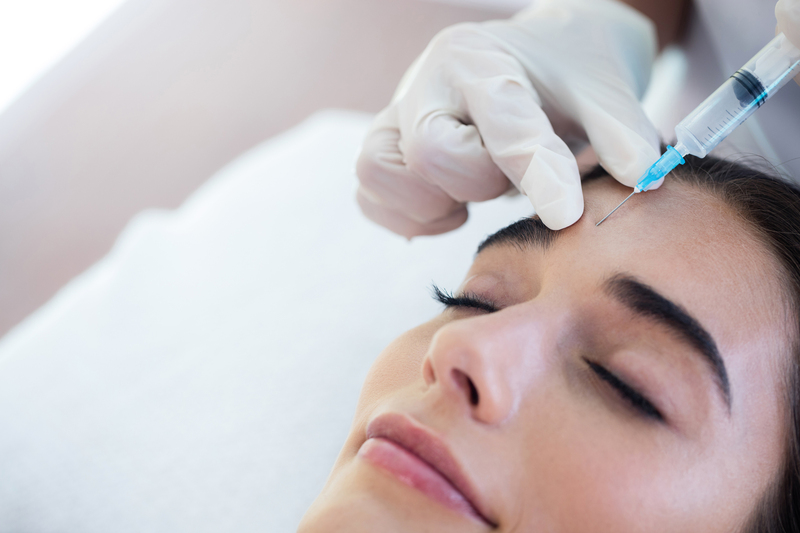 A very fine needle is used to inject directly into skin wrinkles, lines and creases which results in a temporary relaxation of the facial muscles, preventing the formation of wrinkles and softening existing lines. It isn’t painful and cream can be applied to stop the scratch that can be felt on application. Most patients have only mild and temporary discomfort afterwards. The entire procedure usually takes no longer than 10 minutes. You are likely to see wrinkles softened in 3-5 days although full effects usually take up to 10 days. The effects usually last 3-6 months but can last for up to 12 months. Here at The Whyte House, we always do an initial facial cosmetics consultation as it’s important to understand the effects you wish to achieve.